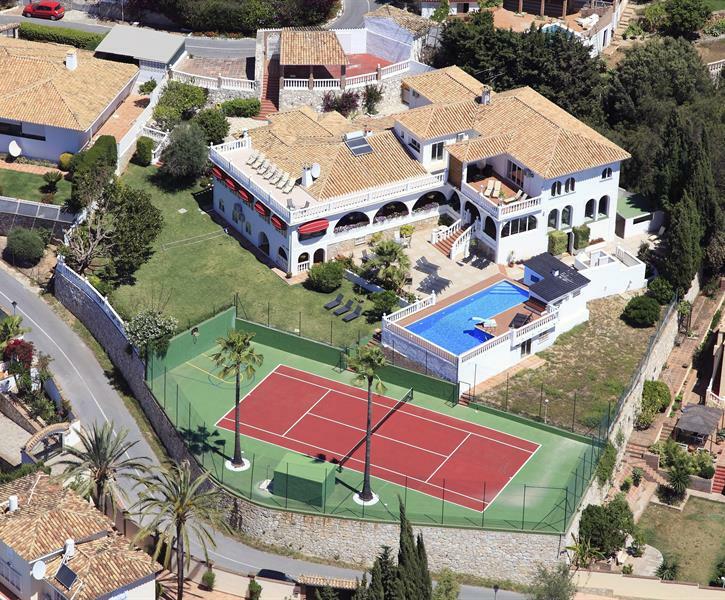 Villa har et innendørs og utendørs svømmebasseng, tennisbane, golfgrønn, bordtennis, boblebad, takterrasser, grill, bar og mye mer. 20 minutter fra Marbella og flyplass. Slående!. Vanvik Idrettslag tilbrakte en flott uke på Villa Los Arcos i forbindelse med treningsleir for vårt senior fotballlag. Oppholdet overgikk alle våre forventninger. Den svært innholdsrike boligen bød på svært mange aktivitetsmuligheter for vårt reisefølge på 29 personer. Oppfølging og service var upåklagelig og en stor takk til Tommy som bistod med å ordne treningsbane og praktiske detaljer i forbindelse med vårt opphold. Vi er svært fornøyde med hele reisen og kommer gjerne tilbake til Villa Los Arcos! The villa was in a wonderful position, with amazing views of the sea. The accommodation was generally good, the space was excellent for dining inside or out and it had lots of lovely areas to be quiet and away from the crowd, if you wanted that. For the young it had all the ‘toys’ to keep them busy - badminton, basket ball net, tennis, mini golf. On top of that, the heavenly outdoor pool with all the water floats, toys etc plus the indoor pool which we had heated was just amazing. We had ages from 4 months old to 74 years old and everyone enjoyed it. A great location for a gathering. John the manager responded immediately to any queries. Mikael in London was excellent. Outdoor pool towels needed and I would suggest plastic wine glasses for by the pool! 2 mennesker fant denne anmeldelsen nyttig. The process from booking the villa to checking out was smooth. The owner and managers were very helpful. The villa lived up to expectations. There was so much to do without leaving the villa. All amenities was fantastic and we all had a wonderful time. We rented the villa for a week as my daughter was getting married in the area. We had a lovely time villa very relaxing and area quiet would recommend it.